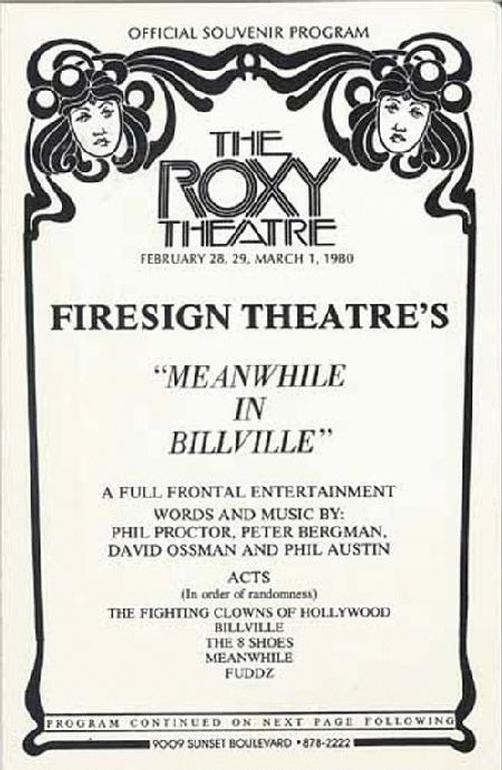 Original playbill for Firesign Theatre's performance of "MEANWHILE IN BILLVILLE" at the Roxy Theater from 1980. 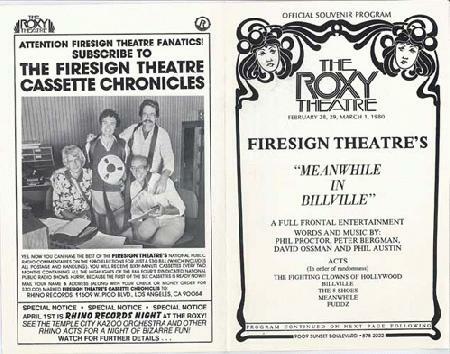 The playbill for the Roxy Theater engagement was printed with fake ads. 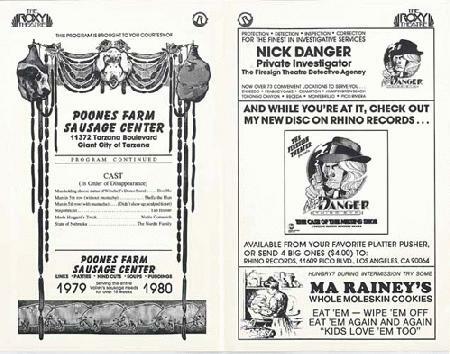 4.5 x 7 inches.